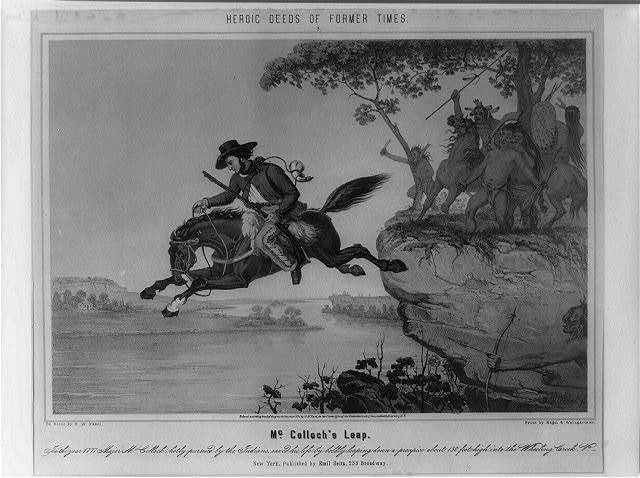 On this day in history, September 1, 1777, McCulloch's Leap goes down as one of the greatest escapes of the American Revolution, when Major Samuel McCulloch jumps over a 300 foot cliff from attacking Indians to safety. McCulloch held the reigns with his left hand and his gun in his right hand and spurred his horse over the edge. It is said that they did not hit ground until half way down the hill, which is nearly vertical. 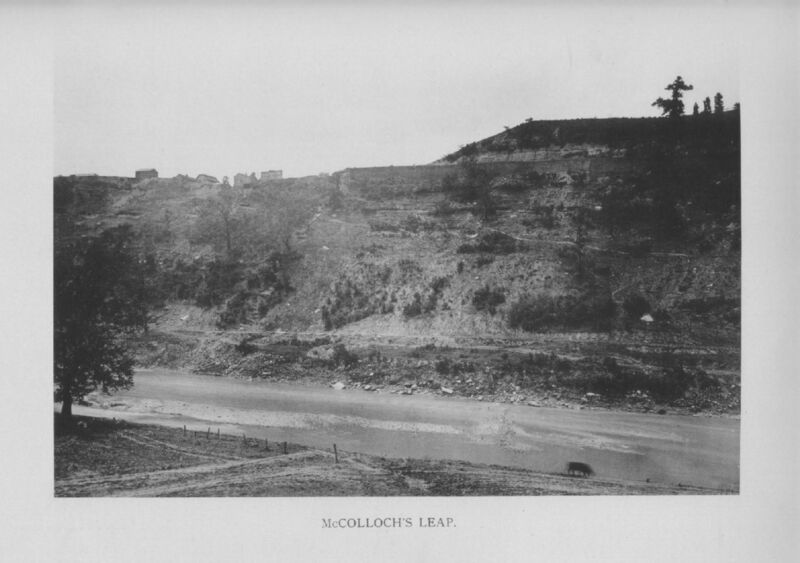 The rest of the way, they slid down the almost 90 degree hill, being pummeled with branches and stones until they hit bottom, but McCulloch's horse never lost his footing. At the bottom of the hill lie Wheeling Creek. The stunned Indians watched McCulloch cross the creek and ride away in amazement. The Indians continued the siege of Fort Henry only for another day or so. With the reinforcements that had already arrived and those that McCulloch would likely bring back with him, continuing was futile and they gave up the mission. McCulloch's Leap has gone down as one of the bravest escapes of the American Revolution and, indeed, in all of the history of warfare.